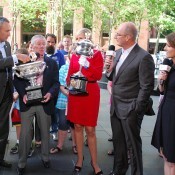 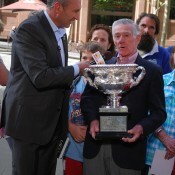 Known as “Muscles” to his friends, Ken Rosewall is one of the Australian greats of tennis. 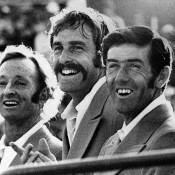 In a career that continued into his 40s, Rosewall amassed 18 major titles and achieved a career doubles Grand Slam. 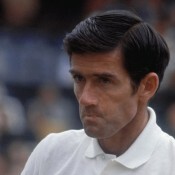 One of the finest players to not win Wimbledon, Rosewall made it to the final at the All England Club on four occasions (1954, 1956, 1970 and 1974). 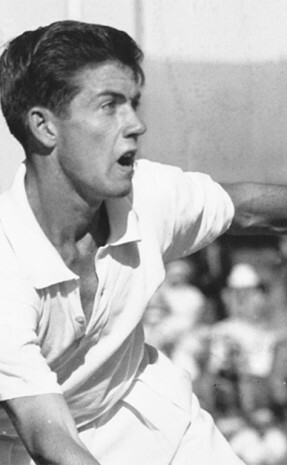 While he wasn’t the strongest player on court, Rosewall used canny placement and court speed to make up for any lack of physical presence. 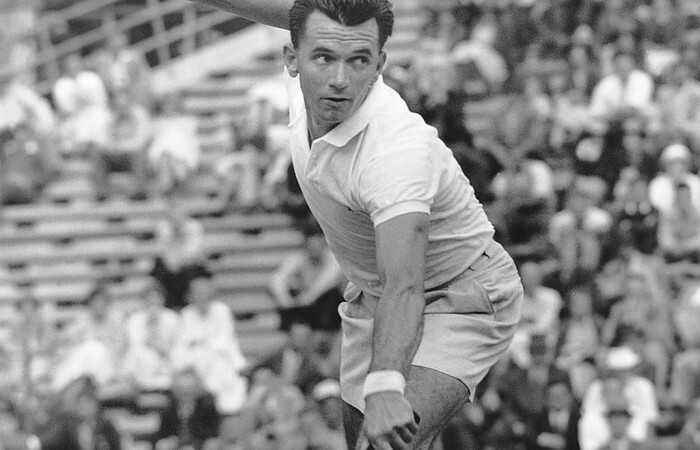 He was renowned for his enviable backhand, balance and excellent anticipation. 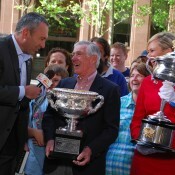 He famously teamed with Lew Hoad – the pair was born 21 days apart – to defend the Davis Cup in 1953. 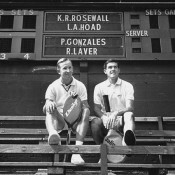 Rosewall finished with an impressive 19-3 win-loss record in Davis Cup and was a member of winning Australian teams in 1953, 1955, 1956 and 1973. 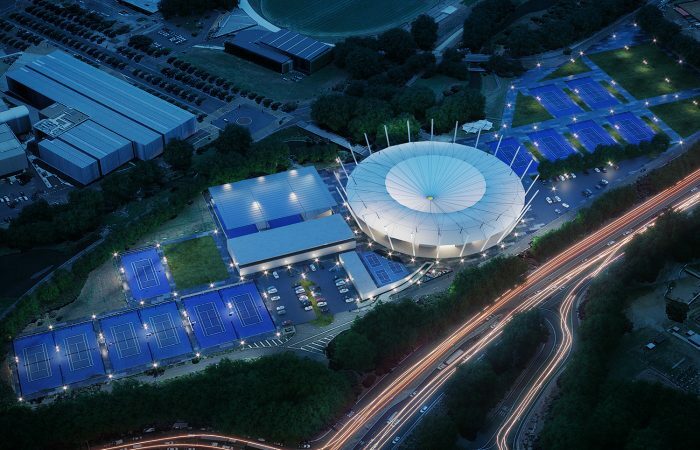 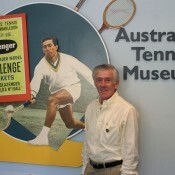 The centre court at Sydney’s Olympic Tennis Centre is named Ken Rosewall Arena in his honour. 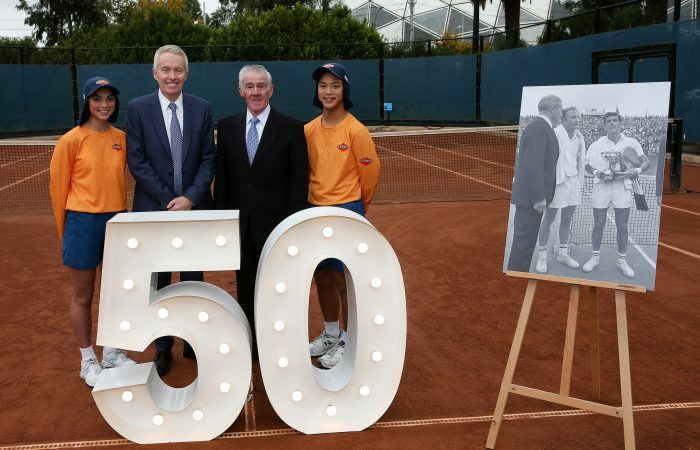 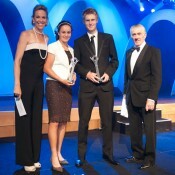 Ken Rosewall was honoured today at Melbourne Park. 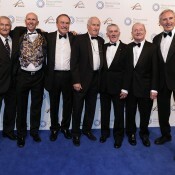 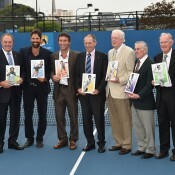 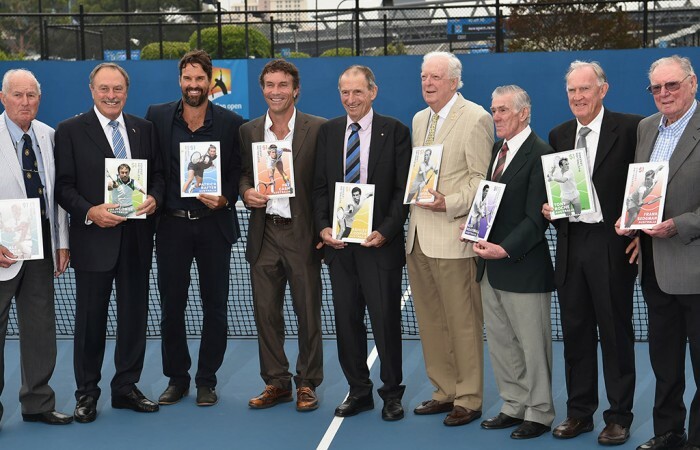 The group of 11 Australian tennis legends who received the 2016 Australia Post Legends Award were thrilled with the honour of appearing on their own postage stamp.